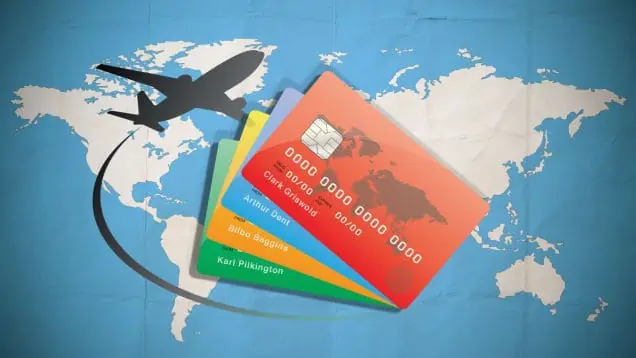 Getting a Prepaid travel card is claimed by industry experts to be the safer, better and cheaper option for travellers going abroad, especially for travellers on a budget. So how true is this claim? An analysis by extravelmoney takes a look at the pros and cons of using a Prepaid forex travel card when compared to cash, debit & credit cards. Prepaid travel cards have better exchange rates compared to cash. For the same amount of money, you can buy more foreign currency in forex card than as foreign currency in hand For getting money converted directly to foreign currency, the rates are not as good as what forex card offers. Prepaid travel cards are safer compared to cash. Nowadays forex cards come enabled with chip and pin technology and hence provide more safety features. Cash is only safe as we keep it. It’s entirely dependent on how safely we handle it. Plus, travellers carrying an excess of cash in their wallets are very easy targets for thieves abroad. In case of theft or loss of your prepaid travel card, you can have the card blocked and also transfer the funds to your new replacement card. This replacement card is usually given as a backup along with your forex card kit. In case of theft of cash, there is no protection for your stolen money. It’s as good as gone. This is one of the biggest disadvantages of cash. When you are travelling to many countries, Prepaid travel cards allow you to load multiple currencies in them. When you are abroad and transacting with your forex card, it automatically detects which country you are in and pays using the preloaded local currency. To carry different currencies as cash and making sure they don’t mix up and to pick out the correct currency, all these are hassles that travellers can do without. Depending on the card you buy, it may be subject to additional fees like activation charges, ATM use abroad charges, inactivity fees, redeeming funds fee etc. So research about the different charges the card carries before buying it. Once we have cash in hand, then we can use it exactly as it is. No additional charges for currency usage. Cards may not be accepted as a means of payment in all places. There are stores and shops even in developed countries that prefer to do business by cash. Cash is a universally accepted means of payment and it only differs from country to country in the form of different currencies. Useful in places like restaurants abroad, where tipping by cash is a norm. So Prepaid Travel Card or Cash when going overseas? We recommend a mixture of both. The majority of your purchases and transactions abroad would be cashless in nature. Take 70% of your total expected expense in forex card and the rest 30% by cash. Here we explain The best strategy to adopt when carrying money abroad. Also, Take a look at our chart on the 7 major expenses of travellers abroad. Forex cards usually have a flat “Foreign ATM Withdrawal” fee associated with them. However, compared to credit card and debit cards, this fee is lesser. Using credit and debit cards for withdrawing money from ATMs abroad may prove very costly as they have a Flat “Foreign ATM withdrawal” fee, plus 1 to 3% of the money you are withdrawing and a currency conversion charge to boot! It all depends on the card you are carrying though. So find out before getting a card how traveller friendly it is. When swiping your prepaid travel card abroad for shopping or other transactions, there is no extra charge present. The money being transacted is already the local currency of the country loaded into the card. When using credit and debit cards abroad for transactions, Dynamic currency conversion (DCC) fee will be levied where the bill amount in foreign currency will be converted to your currency and then charged from your card. Apart from the bad rate of exchange you get, a markup will be built into this further driving up costs. Prepaid travel cards have their exchange rate locked in advance. Once the rates are locked the value of the currency in your forex card is not dependent on the volatile foreign exchange market. Exchange rates are not locked in advance and are usually not favourable to the customer. When you are going abroad, by that short time itself, this unfavourable exchange rate will be further magnified as the value of rupee against most major currencies is going in a downward trend. Temptation not to overspend. Since the funds are loaded in advance and there is no overdraft facility in prepaid travel card. You’d be able to better control your urge to splurge money. Credit cards have an overdraft facility that lets you dip into more funds than you have at the moment. This might tempt you to shop using your credit card and indulge in spending beyond your means. Prepaid travel cards can take up to 3 days to make funds available in them after reloading. This could be a problem when you are out of money abroad. Funds are available whenever you need and credit cards can help you borrow extra cash from the bank when you are out of money. Certain hotels will let you stay only if you have a credit card. If you go without paying the bill, the hotel would be able to claim their due using the credit card details. This is not possible through forex card. A credit card can be used in transactions without pre-authorisation if one has the card details. Thus hotels and restaurants prefer credit cards as a safe mode of payment considering travellers. Unlike money in a debit card, the money available in a prepaid travel card is not linked to any bank account and hence is not earning any interest for you. The money in your bank account to which the debit card is linked is earning a fixed rate of interest. So Prepaid Travel Card or Credit Card, Debit Card? Looking at the pros and cons of prepaid travel cards and Credit/Debit cards, the answer is clear. You need them both. Perform the majority of your transactions abroad via forex cards and carry credit, debit card along as backup. Prepaid travel cards are the newer and modern and more technologically better cousins of traveller’s cheques. They are a safe option and widely used. Traveller’s cheques are outdated now and not many people use them, nor many businesses accept them. Even banks abroad may not encash them. Fees. We already talked about fees like activation charges, ATM use abroad charges, inactivity fees, redeeming funds. Even Traveller’s cheques have fees. We have to pay fees when creating the traveller’s cheque and later when we encash it. This generally makes them more costly than cash option and forex card option. Forex cards are very easy to handle and use. Simply put the card in your wallet and swipe it for transactions abroad. Much more of a hassle handling traveller’s cheques than Prepaid forex cards as not many businesses accept them as a means of payment. In the world of instant payments via cards, the traveller’s cheque has lost its relevance. Traveller’s cheques don’t really have any advantage to offer when compared to prepaid travel cards. So Prepaid Travel Card or Travellers Cheques? So what is the best way to carry money abroad? The best way to carry money abroad would be to take a mixture of travel money options. Forex card for 60% of total expenditure, balance 40% in cash, Credit and debit cards as backup. You can buy the best multi-currency prepaid travel cards for UK, Australia, USA, Europe and other countries from ExTravelMoney. Compare the travel cards offered by different banks and money changers like EbixCash, Cox & Kings, and get the cheapest prepaid travel card online with the best exchange rates!